Are you up to a new challenge and does this seem like the right thing for you? Come join us at the interest drink (18th of May, 16:00) and/or the interest lunch (27th of May, 12:30). See you then! Do you want to participate in Pandora? Subscribe as soon as possible! Pandora is almost full, and there is space for 19 teams total. If you still want to participate you should subscribe as soon as possible at the website. The 19th of april at 17:00 is the last moment to apply for board 37. After the board interest lunch and drink it's almost time to make a decision. To try or not to try to be the next board of IA? In case you're still doubting, this week is your last chance to talk to any board members to gather some more info. Thursday April 23 2015 the information market about the minors. At this market, you can (further) orient to the possibilities the UT offers in 2015-2016. The market will take place in the Vrijhof building. The overall programme is as follows: Programme te vinden. Don't forget to order your books! Some books have a long delivery time or are Print on Demand. Therefore, it is important to order your books now. You can order your books via IAPC. The sheets with information about the masters BIT, CSC and TEL are online! There are lots of awards to win by writing a good thesis. In our country there are various instances that want to reward quality research. Every year a variety of awards is granted to the best master theses. Writing your thesis takes quite some effort and besides giving you some possibly interesting research outcome it could also get you some nice awards. Multiple instances throughout the country think its a good think that people write quality theses and therefore they grant these awards. In order to win these prices you have to be enrolled for them and usually you have to talk this through with your mentor. There a lot of different prices focused on different types of research. You can find a lot of thesis awards on http://scriptie.nl/scriptieprijzen, where you can also enroll. The University of Twente has a special webpage with additional information on thesis awards for BIT-students: http://www.utwente.nl/bit/scriptieprijzen/. For BIT and CS students there is also the award by NGI-NGN. There is also awards especially for IT Security students. Namely the Joop Bautz Information Security Award and an award by Stichting Privacy Nederland (SPN) which can be found here: http://www.nationaleprivacyawards.nl/. Besides all that, our alumni association ENIAC has a thesis reward of its own. You can find more info about it on the website of ENIAC. 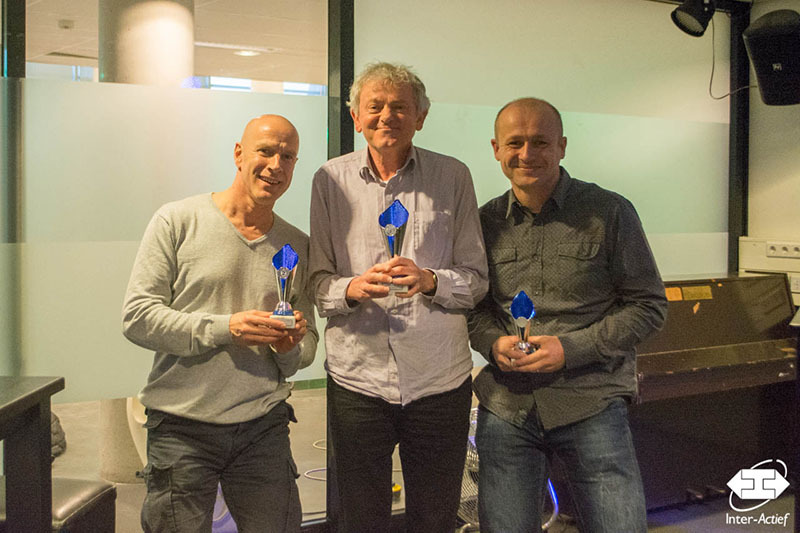 Last year one of our ex-board members, Ruud Verbij, got granted a few awards. Ruud finished the IT Security master with a thesis called ‘Dutch E-Voting Opportunities’, a research on risk management on elections through internet. 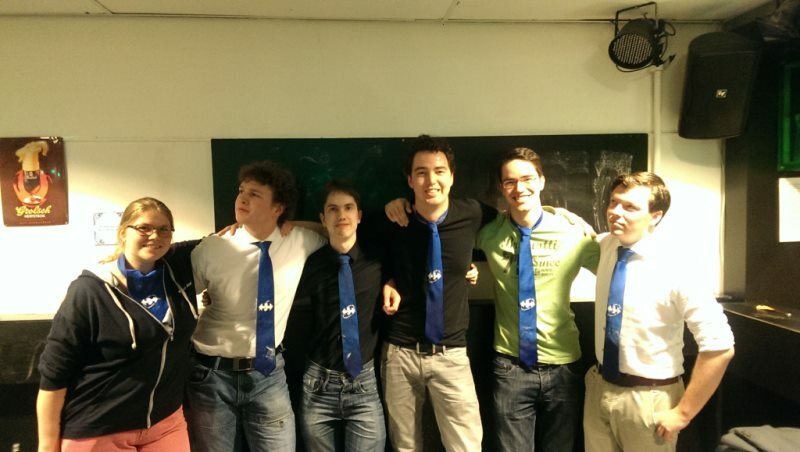 Ruud won the Joop Bautz Information Security Award 2014 and later also got granted a second place at the NGI-NGN award. Klaas Sikkel has won the Educational Award 2015. Do you want to know more about the masters BIT, CS or TEL? Visit the master information activities! There are two master information activities. One is about the master Business Information Technology and the other is about the masters Computer Science and Telematics. BIT: Monday 23 March, 12.45h, RA 2502. Mail to C.tenNapel@utwente.nl for free lunch. CS and TEL: Tuesday 24 March, 13.15h, Carré 2G. Afterwards, there is a drink in MBasement. Thursday 12th of March we, Inter-Actief, grow another year older. And we'll celebrate that extensively of course. On Wednesday we'll go swimming in the late afternoon after which there'll be a drink at the Educafé. At midnight we will then start our birthday with a nice birthday song. On Thursday we will actually grow a year older so there'll be a joke birthday cake at the IA-room. In the evening of the twelfth we'll enjoy a luxurious dinner in the Atrium in the Bastille. And to finish off the awesome week, there'll be cars driving around the country during the legendary Rially. Subscribe your team for a day full of car-puzzle-sweetness. So don't forget to subscribe for the swimming, the dinner and the Rially and then we'll see you next week! On Wednesday 11 March, a lunch lecture with the rector will take place for the first batch of TOM students. Sign up! As a token of appreciation for the dedication of the first batch of TOM and to show what we have done with their feedback on the operation of the Twente Educational Model, this lunch is organized. Partly with the help and feedback from this batch of students, we are working hard to get the best education possible. Second-year students who are wondering what the university has done on the basis of their feedback can come for this lunch. During the (free) lunch a number of issues will be discussed what this group of students has found. Also will be told what has been done with this input.